Relations between the U.S., Russia, and Ukraine are again front and center this week as President of Ukraine Petro Poroshenko visited the United States and met with President Donald Trump for the first time on Tuesday. The very same day, the Treasury Department announced a new set of sanctions against the Putin regime for Russia’s incursion into Ukraine. The Jewish Telegraphic Agency reported that the position of Special Envoy for Anti-Semitism at the State Department will remain vacant after July 1. The State Department released the following statement affirming its commitment to fighting anti-Semitism: “We want to ensure the Department is addressing anti-Semitism in the most effective and efficient method possible and will continue to endeavor to do so.” NCSEJ and its member agencies will continue to advocate so the position is eventually refilled. After much speculation about who is overseeing the Administration’s Russian policy, it is becoming apparent it is Secretary of State Rex Tillerson. Secretary Tillerson has developed a three-prong approach with the Russian government. First is to make sure the Russians understand aggressive action will be met with a like-minded U.S. response. Secondly, to try to engage the Russians on issues of strategic significance to the U.S. Finally, to ensure the possibility to work on long-term mutual geopolitical goals. It will be interesting to see the results of this approach after President Trump meets President Putin on the eve of the G-20 meeting to be held in Germany July 7-8. In this week’s update, we share with you analysis of Putin’s Middle East strategy and outlooks on Russian public opinion; a recent survey found that while many Russians find Putin incapable of handling corruption, they still trust him to run the nation. In Romania, Prime Minister Sorin Grindeanu was ousted by members of his own party in a vote of no confidence for failing to push forward corruption reform. It is expected that members of the ruling coalition will suggest a new PM to President Klaus Iohannis as early as next week. We also share with you an interesting interview with CEO of the World Jewish Congress, Robert Singer, in which he discusses the state of Serbia’s Jewish community. In Ukraine, a protest was held over the renaming of a street in honor of Roman Shukhevych, a Ukrainian nationalist who collaborated with the Nazis during World War II. We received a report of vandalism at the Space for Synagogues monument in Lviv where Nazi symbols were found etched into the monument. An investigation is ongoing. We have also welcomed two new staff members to the NCSEJ team. On June 19, Benjamin Cohen joined as a full-time Program Associate. Benjamin, a native of New Jersey, graduated from Pomona College in Claremont, CA in 2016 and spent the last year working in Kyiv, Ukraine as a Fulbright Student Research Grantee. Atlas Corps Fellow Demna Devdariani joined us on May 30 from Georgia as a Research Fellow. 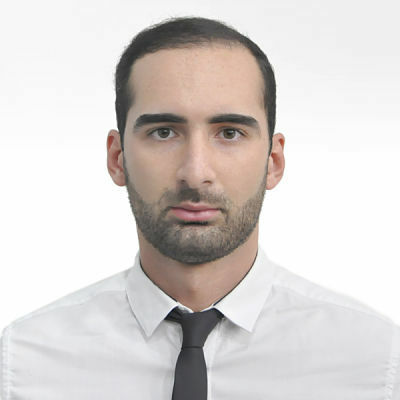 Demna has 6 years of professional experience working with different state institutions, as well as local and international human rights organizations in Georgia. Demna attended events this week hosted by the World Affairs Council and the National Endowment for Democracy to keep NCSEJ up to date on geopolitical developments in Eurasia. For his readout of the events, follow this link. 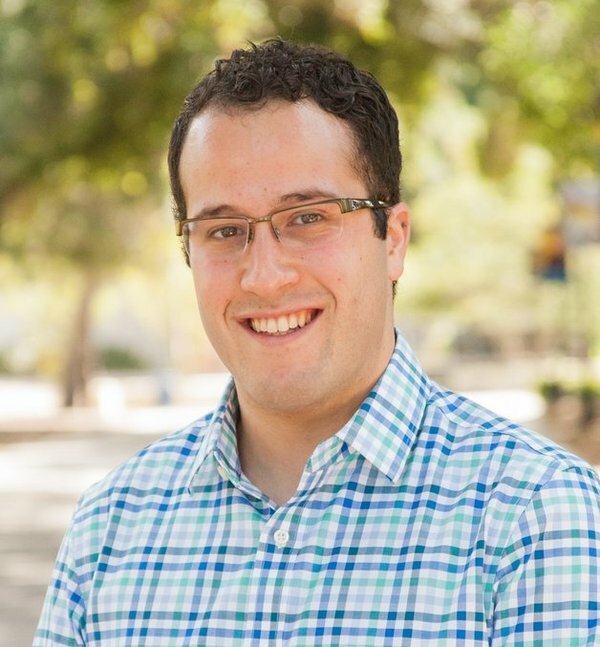 Benjamin Cohen, Program Associate, is an alumnus of Pomona College and the Fulbright U.S. Student Program in Ukraine. Demna Devdariani, Research Fellow, is an Atlas Corps Fellow from Georgia. WASHINGTON — President Donald Trump met with his Ukrainian counterpart Tuesday amid intensifying questions over whether his administration will step in to protect partners in the face of Russian aggression. The meeting with Ukrainian President Petro Poroshenko was originally described by the White House as a brief “drop-in.” But the two presidents posed for photographs in the Oval Office and made brief remarks following Poroshenko’s more extensive meetings with Vice President Mike Pence and the administration’s top national security advisers. With the Ukrainian leader sitting by his side, Trump said it was a “great honor” to meet Poroshenko and that “a lot of progress has been made” in the U.S. relationship with Ukraine. The Vice President met today with Ukrainian President Petro Poroshenko to reaffirm the United States' support for a peaceful resolution of the conflict in eastern Ukraine and for President Petro Poroshenko's implementation of the reforms necessary to transform Ukraine into a peaceful, prosperous, and secure European country. The Vice President highlighted continuing U.S. support for the Normandy Format negotiations to implement the Minsk agreements and stressed the importance of continued reforms to fight corruption, improve the business climate, and keep Ukraine's International Monetary Fund program on track. WASHINGTON — The Trump administration ratcheted up pressure on Russia on Tuesday, unveiling sanctions on more than three dozen additional individuals and organizations that have participated in the country’s incursion in Ukraine. The Treasury Department made the announcement on the same day that President Trump hosted his Ukrainian counterpart, Petro O. Poroshenko, at the White House to discuss a peaceful resolution to the conflict with Russia. The sanctions also came as Mr. Trump continues to face questions about whether his campaign colluded with Russia to help him defeat Hillary Clinton. As the White House fends off accusations of collusion with Russia, Secretary of State Rex Tillerson has taken it upon himself to guide the Trump administration’s thinking on dealing with Russian President Vladimir Putin. The former Texas oilman, who worked extensively with Kremlin officials as CEO of Exxon Mobil, has crafted a three-point framework for future US-Russia relations that takes a narrow view of what can be achieved between the former Cold War adversaries, but seeks a constructive working relationship with Putin on a limited set of issues. The recent Russian-Iranian-Turkish de-escalation plan for Syria tells us more about Russia’s geopolitical vision for itself than about Syria’s prospects for peace. The agreement forged on May 4 in Astana, Kazakhstan, calls for the three powers to assist with maintaining a cease fire and delivering humanitarian assistance in four de-escalation zones. Turkish and Russian troops will patrol the areas, but UN assistance is “not needed.” This plan may be no more effective than previously acclaimed cease-fires and this agreement has its own loopholes: Russia won’t bomb in those areas as long as “rebels” cease fighting. The identity of “rebels” and whether they really cease fighting will be judged by Russia. But the aims which the agreement reveals show the political aspirations of the parties. By making these powers co-guarantors of the projected de-escalation, the plan shores up each country’s position within Syria and the region. Turkey staves off the Kurds and Iran continues to support fellow Shi’ites and the Assad regime. The big winner, despite the costs, is Moscow. Russia is not merely poised to reestablish power (political, commercial, and military) in the Middle East, but asserts itself as the preeminent world power in this region at the expense of the United States. A majority of Russians don't trust Putin to solve corruption. But they trust him to run the country. MOSCOW — At a time when public anger over government corruption has led to Russia’s most widespread protests in years, fewer than half of Russians are confident in President Vladi­mir Putin’s efforts to rein in crooked officials, according to a survey released Tuesday. The survey, by the Washington-based Pew Research Center, finds Russians generally confident in their country’s direction, enthusiastic about Moscow’s growing say in world affairs and increasingly sanguine about the economy. A whopping 87 percent of those surveyed said they trust Putin to represent their country’s interests on the global stage. But approval of the job Putin is doing to eliminate corruption has fallen over the past two years, from 62 percent to 49 percent, according to the center, which conducted face-to-face interviews with 1,002 Russians between February and April. PODOLSK, Russia — As a former Soviet factory director, Vladimir Melikhov survived the brutal business turf wars of the 1990s to make a fortune in construction. Now he devotes his energy and money to what, in the Russia of President Vladimir V. Putin, has become a truly risky enterprise: digging into Russian history. Mr. Melikhov has founded a private museum that is devoted to the memory of the “anti-Bolshevik resistance” and that delves into a singularly taboo topic — why many Cossacks and other persecuted Soviet citizens welcomed, at least initially, Hitler’s invasion of the Soviet Union in June 1941. WASHINGTON (JTA) — The U.S. State Department’s office to monitor and combat anti-Semitism will be unstaffed as of July 1. A source familiar with the office’s workings told JTA that its remaining two staffers, each working half-time or less, would be reassigned as of that date. The European Union has made a “big improvement” in motivating social media giants to combat antisemitism on their platforms, EU Commissioner for Justice, Consumers and Gender Equality Vera Jourova told The Jerusalem Post on Monday. Jourova spoke to the Post leading up to her visit to Israel that begins on Thursday and ends next week as part of the 11th EU-Israel seminar on Combating Racism, Xenophobia and Antisemitism. Romania’s prime minister has been toppled after the parliament passed a vote of no confidence tabled by his party. Barely six months after winning elections, Sorin Grindeanu was ousted by almost all the MPs in his leftwing Social Democratic party (PSD) with the backing of their junior coalition partners, the Alliance of Liberals and Democrats (ALDE). The motion of no confidence, which accused Grindeanu of delays in carrying out planned economic and social reforms in one of the EU’s poorest countries, passed by 241 votes to seven, more than the 233 required. What's in store for Serbia's Jewish community? WJC CEO Robert Singer shares his observations, and some good news, from his recent trip to Belgrade. Dozens of demonstrators were injured over the weekend in Kiev, Ukraine in violent protests against the decision of the city council to replace the name a main street to that of an officer who was one of organizers of an anti-Polish ethnic cleansing. The street was named after General Nikolai Vatutin, who liberated Kiev from the Nazis, but now it was decided that it would be named after Roman Shukhevych, an SS officer responsible for the massacre of tens of thousands of Jews. The heirs of one of the largest prewar art collections in Hungary can sue in the United States for the recovery of some of the works from Hungarian institutions, a federal court ruled. The U.S. Court of Appeals for the District of Columbia ruled Tuesday that the heirs of Baron Mór Lipót Herzog can sue Hungarian state-owned museums and a university to recover the more than 40 artworks with an estimated value exceeding $100 million. The collection includes works by artists including El Greco, Francisco de Zurbarán, Lucas Cranach the Elder, van Dyck, Velázquez and Monet. Rhea Clyman’s groundbreaking coverage of the 1932 famine is the subject of a new biography by Prof. Jaroslaw Balan, who is searching for her ‘goldmine’ of a memoir.